When I think of transitions, I immediately thought of Bildungsroman, the literary world’s fancy term for a coming-of-age story. 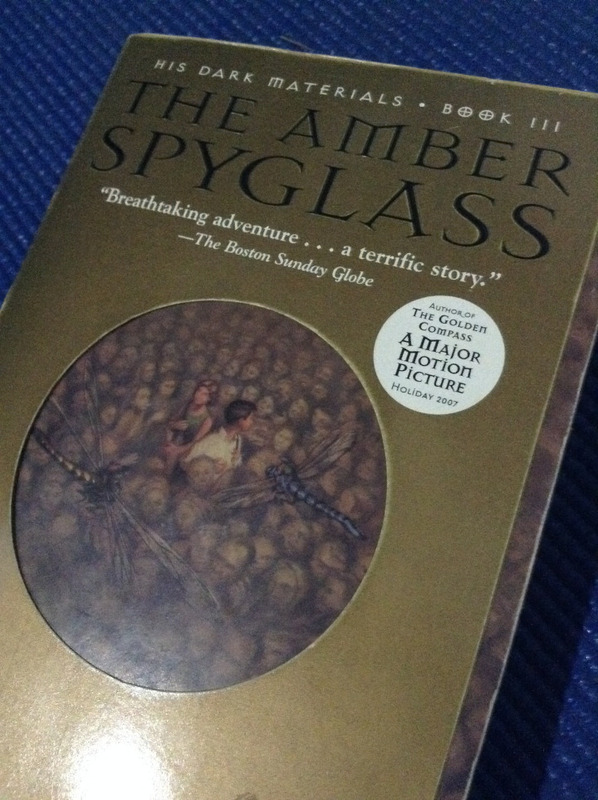 The Catcher in the Rye and the Harry Potter series are just two modern examples of this genre. But what I want to talk about is a series that’s critically acclaimed but I feel is not as popular as it should be: Philip Pullman’s His Dark Materials. 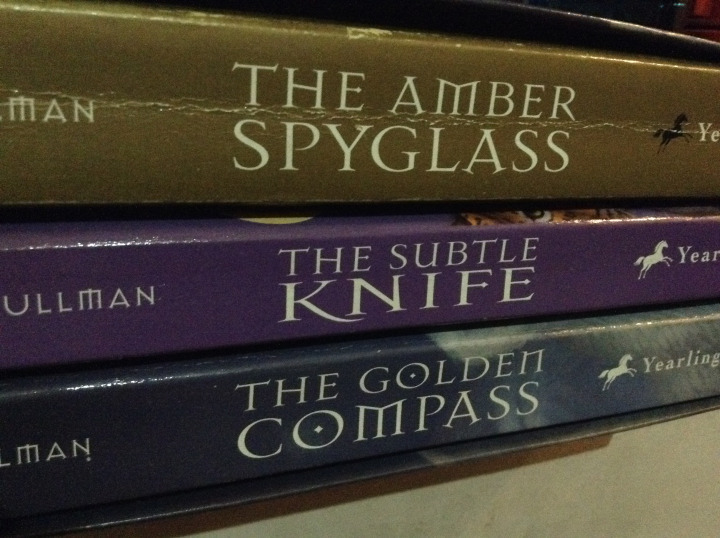 His Dark Materials is a trilogy following 12-year-old Lyra Belacqua, and later on Will Parry, as she travels through multiple universes fighting a bigger-than-any-world enemy(!). There are witches and armored bears and angels(!!). There are bad characters who turn out to be good and good characters that are actually bad(!!!). There’s this thing called Dust, known as Dark Matter in our world, and it’s a very big deal(!!!!). And in Lyra’s world, people have dæmons, which are physical embodiment of their souls in animal form(!!!!!). How cool is that?! It’s fantasy, epic adventure and budding romance all in one. His Dark Materials is such a wonderful trilogy, with so much depth and character development and a really badass heroine, you’d think Hollywood would have made a killing with a film adaptation like this. 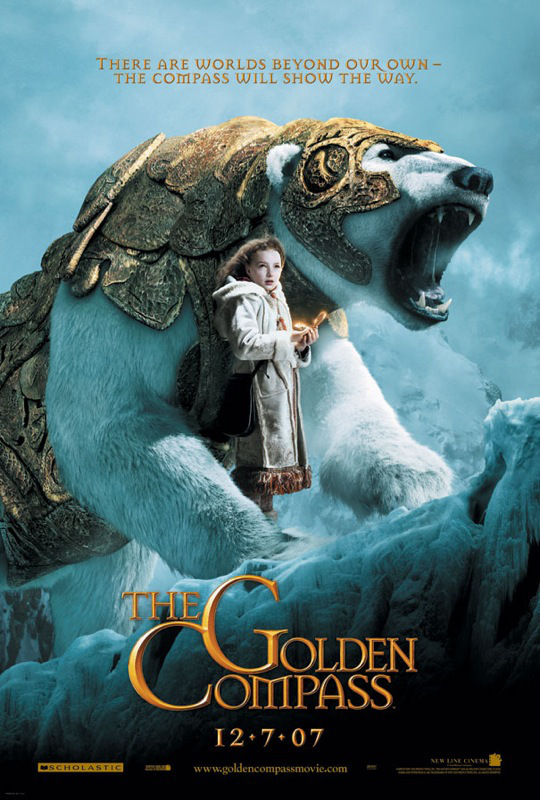 The first book in the series, Northern Lights, was adapted into a 2007 movie promoted as The Golden Compass (matching the US title for the novel). It starred then unknown actress Dakota Blue Richards, Daniel Craig and Nicole Kidman and featured the voices of Freddie Highmore and Gandalf himself, Sir Ian McKellen. I remember seeing the trailer for the first time and wondered, “Another Narnia movie?” I honestly felt like it was marketed as something akin to The Chronicles of Narnia: The Lion, the Witch and the Wardrobe, which is ironic considering how His Dark Materials has themes that directly oppose the religious messages of the Narnia books. Oh, did I forget to mention that His Dark Materials also tackles religion and religious organizations in a majorly way? Yep, it does. Lyra’s world has the Magisterium, more commonly known as the Church, and it is painted as an institution that will use any means necessary to destroy all forms of heresy. In the last book, The Amber Spyglass, the main antagonist is an angel, Metatron, a tyrannical being who serves as the Regent of Heaven. You can just imagine the outrage of some conservative religious groups out there. But anyway, most of the book’s anti-religious themes were stripped away from the film and the audience was left with a visually dazzling feast but ultimately rushed and confusing plot. They tried to introduce this fantastic new world with all its characters to the viewers in a span of two hours and it just didn’t work (I read the books after seeing the film and the movie made sense only then). 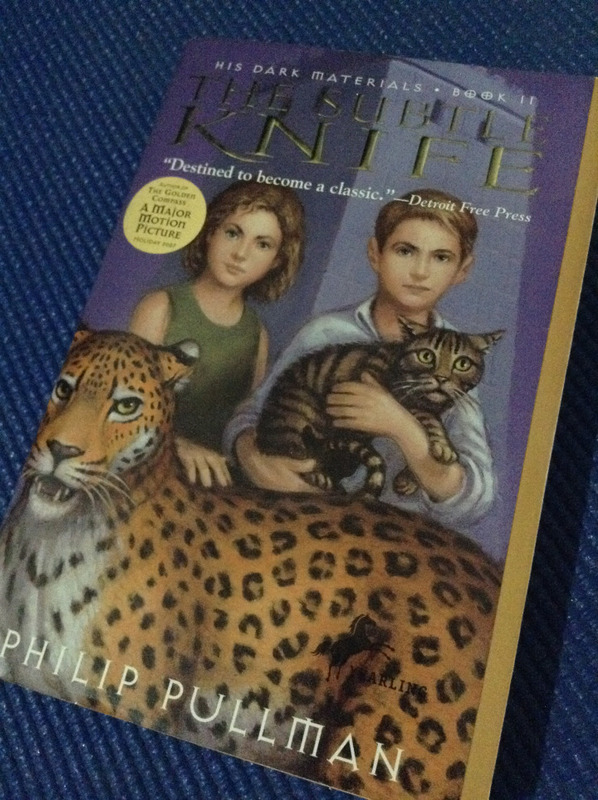 It didn’t do all that well in the US box office either so they didn’t bother making the sequels, which is a shame because the second book, The Subtle Knife, is what I liked best in the series. Last year, Mic published an article suggesting His Dark Materials be brought to the small screen and I couldn’t agree more. What with the success of Game of Thrones, it is completely possible to have a more than decent TV adaptation of Pullman’s fantasy series. If they can computer-generate dragons, they can surely do the same with dæmons, the panserbjørne, the Mulefa and Gallivespians. I mean, it’s got lots of action and thrills and cliffhangers to keep TV viewers’ attention long enough for multiple episodes. And that ending!